A picture of the upcoming Nokia Normandy smartphone was leaked onto the @evleaks Twitter account earlier today showing off the Android-powered device in a clear shot. Outside of a stock press image of the Nokia Normandy, very little information is provided although @evleaks did include “2014” in the tweet suggesting that the device could make its way onto the market very soon. Even though Normandy will be powered by Android rather than Windows Phone OS, the overall look of the device is quite reminiscent of Windows. 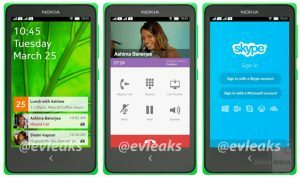 As we have seen with other Nokia devices, this one is colorful with at least a handful of different colors to choose from, although the backs of the phones were not shown in the leaked image. Microsoft is all but in control of Nokia from a monetary perspective which means that a venture into the Android realm may not be something that comes to fruition. It makes sense that Nokia would investigate the plausibility of Normandy and even Microsoft has noted that it is not going to rely completely on Nokia for Windows smartphones, but is still not guaranteed that an Android device will be coming out this year. If Nokia Normandy does end up becoming a reality, leaked information regarding the device suggests that it will be far from a standard Android smartphone. While it will rely on Android at its core, Normandy will not have access to the Google Play Store or any of the usual goodies that come along with a Google-powered device. This means that the forked version of Android will be controlled primarily by Nokia and the Google OS will merely be a backdrop for the phone to run on. A very odd looking version of Android has appeared in photos from @evleaks of Normandy in the wild. Based upon these shots, apps and other pieces of software on the phone will be more like Windows than Android. 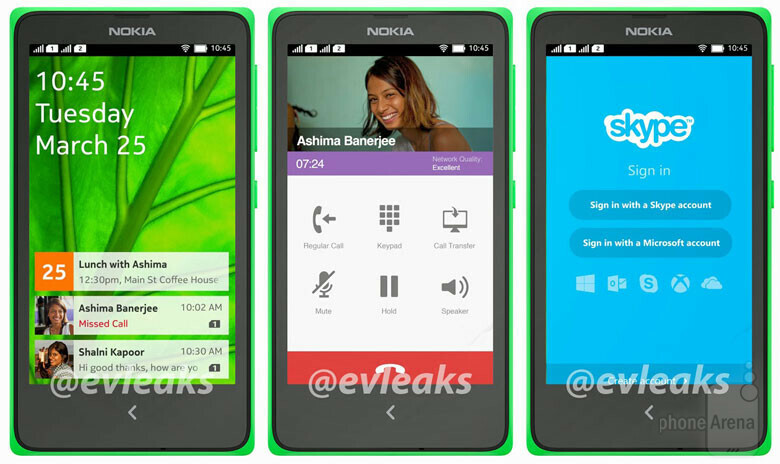 Summary: A leaked image of the rumored Nokia Normandy smartphone has been released. This Android device has supposedly been in the works for a while but now that Microsoft will be buying Nokia, it is possible that Normandy may never actually make it onto the market.